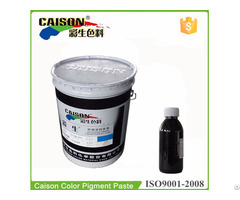 As a water-based pigment paste user, how to choose suitable pigment dispersion products? Firstly, the working system compatibility is the first to be confirmed. Water based pigment dispersion is suitable for using in water based resin system, different pigment dispersions must be match with compatible water based working systems. One simple compatible testing of pigment dispersion and water based resin system: put about water based pigment dispersion by 1% amount into water based resin system. After several mintues stirring, if mixed liquid is uniformly distributed, no bigger particles appear and no layered, and still no abnormal after storing for 24hours, we can judge they are good compatible. If particle aggregation and uneven happened, we can know they are bad compatible. 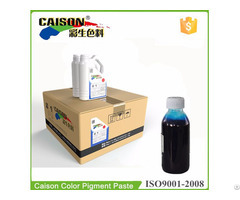 For example, Caison NL series water based pigment dispersion is suitable for water-based acrylic resin system and aqueous epoxy resin bicomponent system, but Caison CTH series pigment dispersion is not good for this water based epoxy resin system. 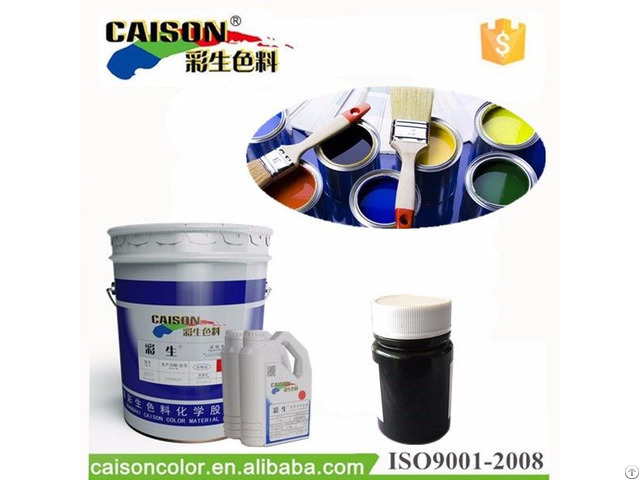 Business Description: Shanghai Caison Color is a professional manufacturer of water based pigment color paste in China for more than 10years. Our products are liquid pigment paste which is one kind of high concentrated pigment dispersion, can be used for textile screen printing and dyeing, coloring and tinting of paints, cement, detergents, paper, woods, latex gloves and other materilas.